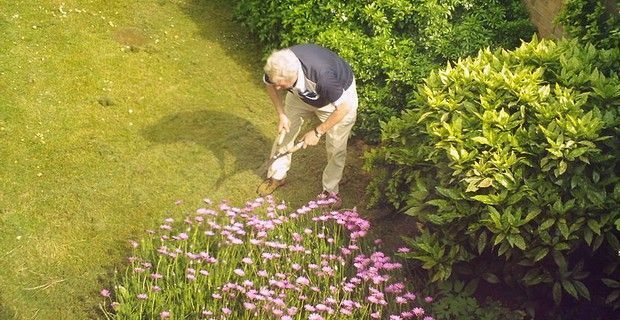 Keeping active is the key to cardiovascular health and longevity in older adults, and according to a Swedish study if you are 60 or over and keeping active through gardening or DIY projects, it can cut the risk of heart attack or stroke by almost 30%. Researchers at The Swedish School of Sport and Health Sciences and Karolinska Institutet in Stockholm, followed the cardiovascular health of 4,232 people for around 12 years, suggesting that the risks of heart attack and stroke were reduced in the over 60s age group, especially if they are involved in daily activities. The findings were published online in the October 28 issue of the British Journal of Sports Medicine. The researchers first studied the participants through a series of lab tests and physical examinations, to check on blood fats and sugars, and blood clotting factors, and then their lifestyles, such as diet, smoking and alcohol intake, including what daily physical activities they were involved in, like gardening, DIY, fixing up cars, home repairs, fruit picking, and hunting. The results showed that people who were more active on a daily basis had a lower risk profile for heart attacks and strokes , and the findings suggest that even routine activities like gardening and DIY for the over-60s can be as good as exercise because it increases overall energy expenditure. The scientists believe that prolonged sitting can alter and lower the metabolic rate and can disrupt the skeletal muscle's normal hormone production, which can negatively impact on other body organs and tissues, while physical activity increases them.